This system of universal health care is based on market distortions caused by federal price controls and regulations, chiefly the Emergency Medical Treatment and Labor Act (EMTALA) and Medicaid. EMTALA requires emergency rooms to treat individuals regardless of their ability to pay. Though 91 percent of Americans approve of this policy, it is unlikely that they approve of the totally free care that is often the result. Low-income individuals have an incentive to seek care through emergency rooms because the care is free. The care is free because hospitals have little incentive to collect on unpaid bills when a patient has limited ability to pay and other funding sources exist. To be fair, liability concerns play a role in broadly defining “emergency”: if a client is deemed as a non-emergency, is turned away and then dies, the hospital could be held liable. Nevertheless, uninsured individuals remain at fault. Rather than employing common-sense solutions to prevent non-emergency use of emergency rooms, clients receiving care because of EMTALA leave the cost burden to the hospital, and no one seems to mind. Hospitals pick up the tab for all clients who do not pay for care. In turn, they send the bill to Medicaid to be paid for through Disproportionate Share Hospital and Upper Payment Limits payments. These payments make up, at least in part, for the loss from uncompensated and undercompensated care. To make up the remainder of the costs, hospitals and providers must raise rates on private insurance. These Medicaid payments are the price controls that cause the need for enhanced payments for undercompensated care. Because of federal restrictions contained in both the stimulus and Obamacare, states have few options for adjusting Medicaid benefits and eligibility levels. This leaves reducing provider payments as their primary means of containing costs. As a result, Medicaid pays significantly less than either Medicare or private insurance, which in turn creates the undercompensated care that requires supplemental payments. Ultimately all the financing mechanisms draw their funds from taxpayers and private insurance consumers. However, Medicaid’s growth is outpacing the economy’s. The mandatory eligibility requirement has increased the caseload and the mandatory benefits have increased the costs per beneficiary. This system is unsustainable, and Texas can do better. The state must be given the freedom to redesign Medicaid. Turning control of Medicaid to the states would allow Texas to build a system that pays all providers adequately. A new Medicaid system could encourage personally owned insurance coverage for clients, encourage personal responsibility by utilizing a sliding scale, eliminate fraud, increase access to primary care and greatly reduce administrative costs. It would also encourage low-income individuals to use low-cost, quality providers such as Federally Qualified Health Centers rather than expensive emergency rooms. The federal government should also improve EMTALA by allowing hospitals to require copayments for emergency use and requiring hospitals to divert non-emergency use. Additionally, hospitals should be given enhanced tools to collect payment and be required to attempt to do so before declaring the charge uncompensated care. Commentators posit that Texas’s uninsured rate is evidence of a significant care problem. Texas does not have a care problem; we have a cost problem that was created entirely by failed federal policies. Removing the federal government from our care delivery system is crucial to containing the future costs of Texas health care. 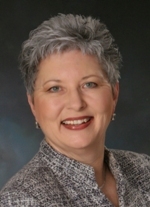 The Honorable Arlene Wohlgemuth is Director for the Center for Health Care Policy with the Texas Public Policy Foundation, a non-profit, free-market research institute based in Austin. She may be reached at arlene@texaspolicy.com. Refer to question for Phil King on cost of illegal Medical care in Texas.